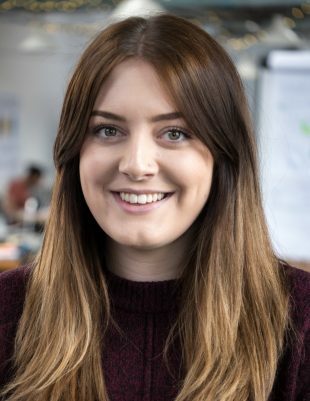 Hi, I’m Jessie Ferguson, a user researcher at DWP Digital in Newcastle. 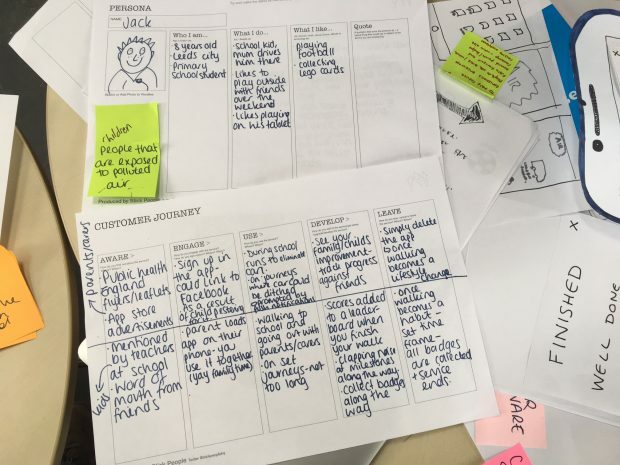 I recently attended GovJam in Leeds for the first time. GovJam is a global public sector service design event which brings together the expertise of people from across national and local government to collaborate and apply the tools and techniques of service design. Working around a common theme, small teams meet at multiple locations, working for 48 hours to prototype innovative approaches to developing better public services. 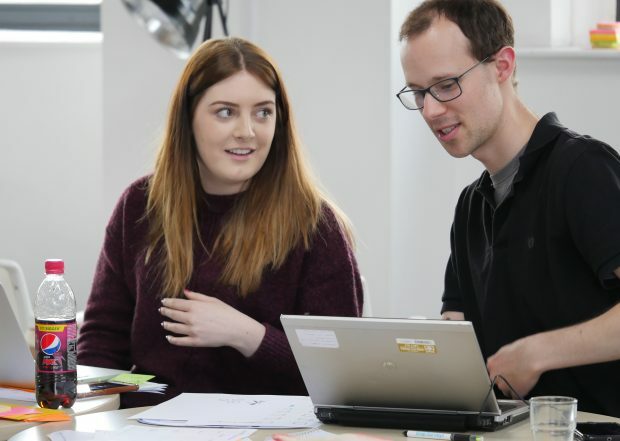 In many ways, it mirrors what we are doing at DWP – developing user-centred services to help make a difference for society – but on a much smaller scale. It was also a chance to use our user research skills in a totally different environment to give us a new perspective on the work we do back at the office. I admit I wasn’t entirely sure what to expect at GovJam, and the ‘secret theme’ which inspires all the prototype ideas initially caused a little bit of panic! But you quickly realise that this uncertainty is OK – it can inspire you to be very productive. The fab facilitators gave the group a couple of quick talks on service design, and we got started. First, we jotted down ideas on what we thought the secret theme meant before collating them and sticking to one. The majority of our time was spent being hands-on, and with such a limited time to get stuff done, you can’t be precious about your ideas. We discussed a few options before we settled on an idea that seemed like it had the most potential. Even with a solid idea, we needed to test it with real users to refine it. GovJam is unlike any other working event I’ve been to. I didn’t expect such a huge focus on ‘leaving the room’ to speak to users, but it challenged our comfort zones by making sure we were out testing ideas from the start. Being a user researcher, I’m no stranger to pop-up or ‘guerrilla’ research – it’s a great way to get a feel for what your users are thinking within a short time frame with little to no cost. It’s a technique we sometimes use at DWP when we test new digital services with customers in libraries and job centres. One of the ideas our team tested was an app that allows users to buy cheaper bus tickets if they ditch the car. Before we spent time drafting screens and thinking of how the overall service would work, just as we do back at the office we carried out a mini discovery, to ask if users were interested in the service in the first place! It turned out that we wouldn’t be meeting the key user needs with our idea. The real user need stemmed from convenience of travel, not cost. In a wider context, it’s easy to get caught up in making an idea look brilliant without understanding users. This is why putting user needs at the forefront is important: understand who your users are, what they need, why they need it and how they might interact with that service. Without knowing what your users need, you will fail. GovJam really showed the art of the possible – I was able to put my user research skills and techniques into practice in a different setting, it’s inspired me to try new approaches back in the office and most of all, it showed how much you can get done in a small timeframe when you really focus on user needs. I’ll be taking this as a lesson learnt back to my team in DWP – let’s continue to focus on putting user needs first. Watch a short video below showing how Jessie’s user research colleagues put user research into practice at GovJam.